Please see this excellent article written by Katie Pratt. 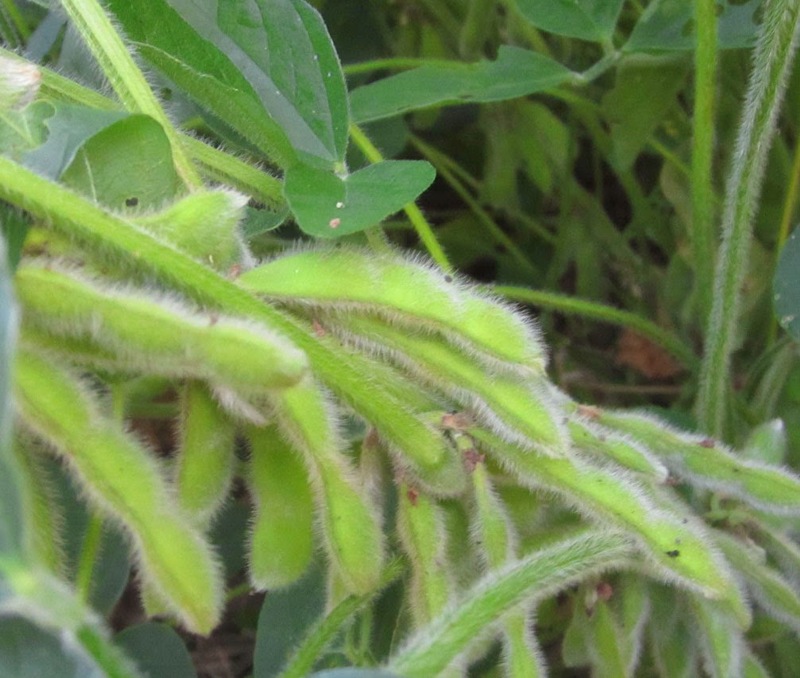 John is a graduate student working on high yield soybeans funded by the United Soybean Board. He had a great opportunity to see how our ag products are marketed and used in China. Click here for the article. and hit every point on the checklist. Based on the responses to the Corn High Yield Checklist we decided to define the key parameters to getting high soybean yields. You will see a lot of similar points between this checklist and the one for corn. Both of these checklists are intended to be a framework for where high yields start. Soil compaction stunted this corn. Crop yields may be limited by soil compaction. Subsoiling is the most common method used to alleviate soil compaction, but is a time consuming and costly operation. If soil compaction is suspected, it is best to identify the areas in the field where it exists, what depth the compaction begins, and what depth the compaction ceases. The best method to document this information is with a soil penetrometer. Most county Extension offices have penetrometers that may be borrowed to make these measurements. Cover crops can be excellent systems to capture excess nutrients and reduce the risk of erosion over the winter months. The most common cover crop used is wheat but other species are gaining popularity. The timing of cover crop removal is important to the success of the primary crop. When possible, cover crops should be killed a minimum of two to three weeks before planting the primary crop. 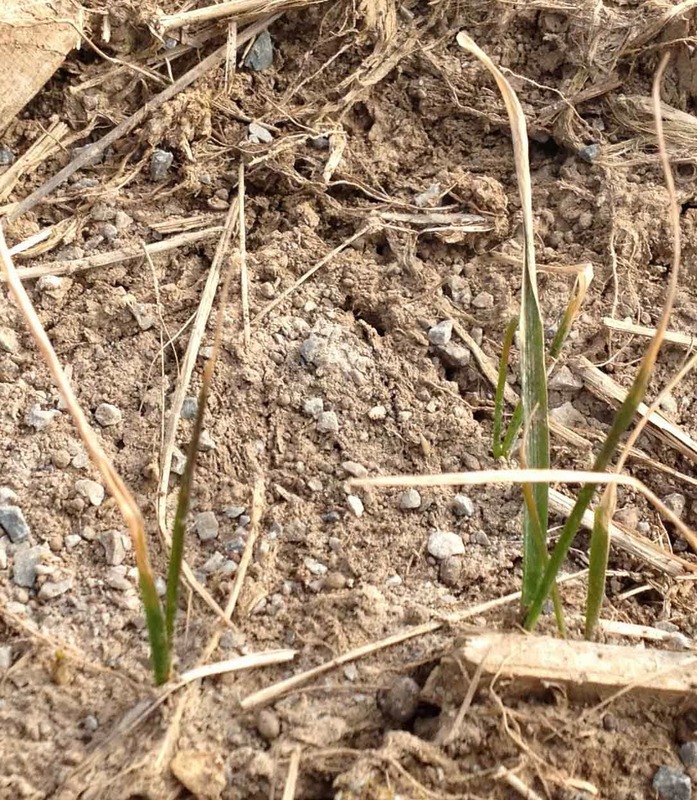 While killing the cover crop before planting the primary crop is preferred, there are some positive reasons for waiting to kill the cover crop after planting. Both options will be discussed. The margin for corn profits are projected lower in 2014 and producers are more interested in what programs and products will increase yield and profit. Before we discuss specific programs and products, let us take a moment to define some of the key parameters for getting high yields. 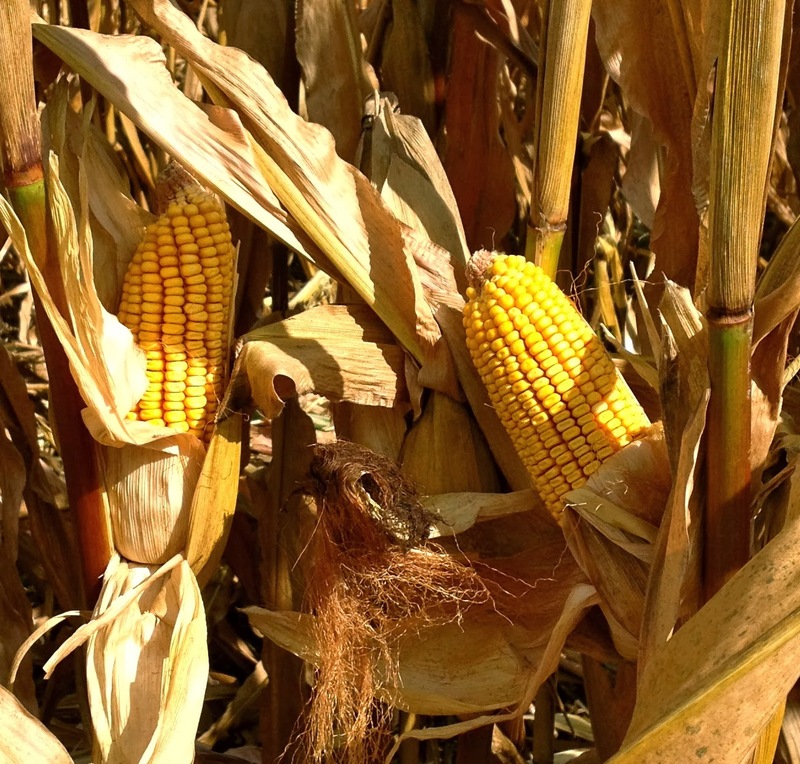 There are several things that when done correctly will result in excellent corn yields. Here is the checklist. are needed to assess damage. The warming weather forecast this week will encourage many people to take a look at their wheat. We need about 7 to 10 days of good growing conditions before we will fully know the status of the wheat. That means, even though we will walk fields this week, we need to be careful about making too many decisions just yet. We can do tiller counts, we just won't know if they are viable tillers for a while. While we won't know the status of the wheat crop for at least 10 more days, now is the normal time for the early shot of nitrogen. We can do tiller counts and make the assumption that most will survive. We can adjust the nitrogen (N) rate for total tiller count (which includes the main shoot).